With its gleaming surface tightly bound in black leather, The Original Ming is all set to become a classic. The outline clearly evokes the stylistic elements of a nautical winch, further accentuating its natural place within a marine environment. While The Original represents the fundamental model in the Ming range, nothing about this button is conventional. The beautiful chrome is lovingly hand-polished while the leather itself is of the finest quality and meticulously hand-stitched. And each and every Ming naturally houses the same cutting-edge technology. 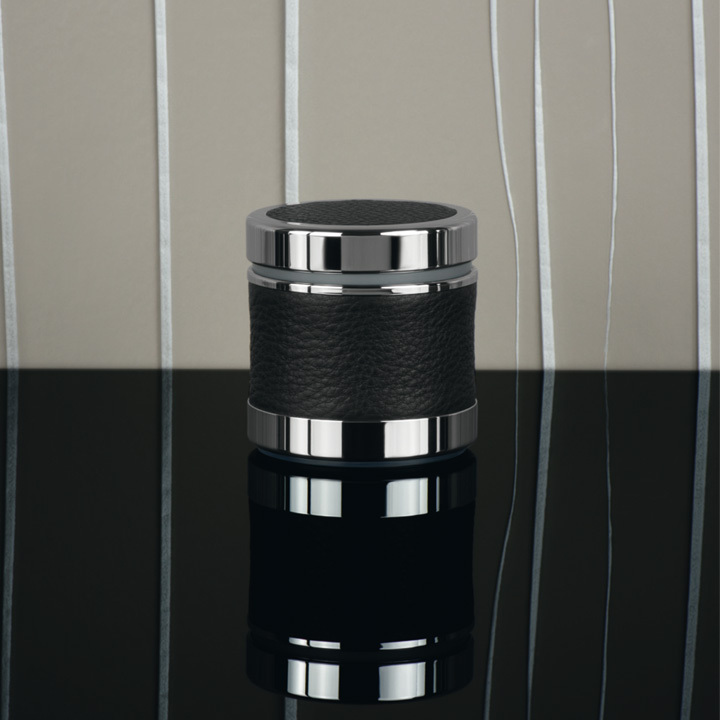 This elegant blend of immaculate chrome and smooth black leather is distinctive enough to display sophistication, yet remains equally unassuming so as to perfectly blend in with the interior design of most yachts. Whether in the planning stage or already at sea.